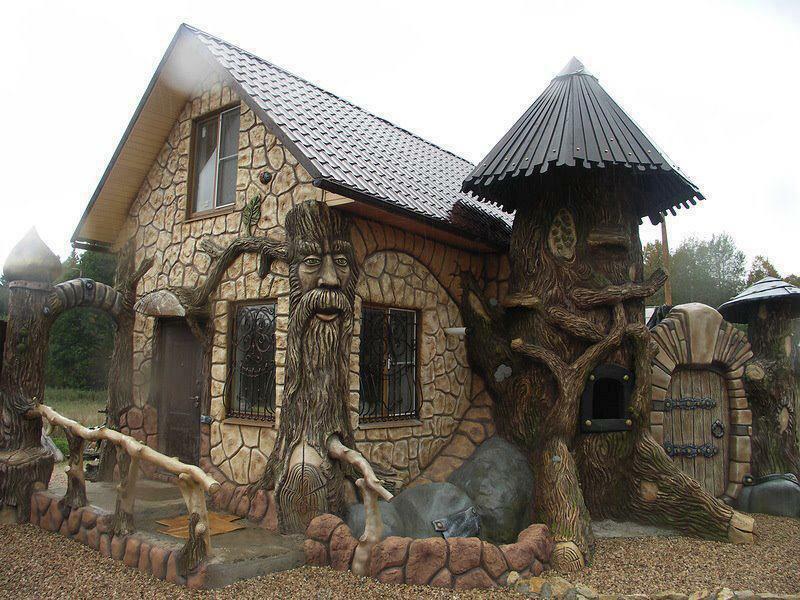 There is a photo going around Facebook now of a magical Tiny House which reminds me very much of the beautiful carvings of Steven Kenzora. I googled for about an hour and could not find anything out about it. If you know, please do give me the link or info! It would be interesting to build one of these out of actual trees that Michael carved right on site cut to height, carved out and then add the stone base between the carvings, cob up and add a roof. I would love to build a Tiny House like this one. It is a work of art.